Diamond Select Toys has announced the next box set in its popular Marvel Cinematic Universe Minimates toy line, and it’s based on Netflix’ newest Marvel television series, Iron Fist! After binge watching Iron Fist Season 1, you’ll definitely want to add this new Minimates series to your collection. The Iron Fist TV Series Minimates Box Set includes Iron Fist, Danny Rand, Colleen Wing, and a top-secret character that appears to be a K'un-Lun monk. 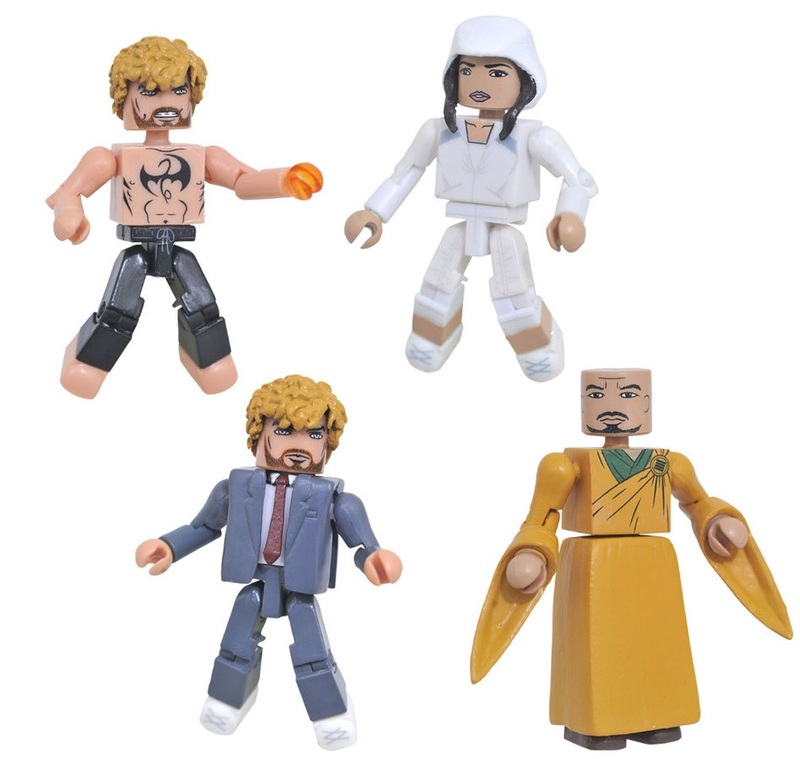 The Marvel’s Iron Fist Season 1 Minimates Box Set includes four 2” mini figures featuring 14 points of articulation and a variety of interchangeable parts and accessories. Packaged in a full color window box perfect for display, fans can pre-order this 4 piece set now at Entertainment Earth for $19.99 here.